The next time you go to the dentist, the first question you may be asked is, “How is your health in general?” Over the last couple of decades, the role of your dentist has changed from merely fixing your teeth and gums to becoming a vital partner in assessing not only your oral health but also often as the first observer of unhealthy changes involving your cardiovascular system, your lungs, and your brain: aptly named the oral-systemic connection. And due to the increased regularity that most people see their dentist compared to seeing their primary care physician, going to the dentist may be the best way to improve your overall wellness and decrease healthcare costs. Since ancient times, even the most casual observer has been able to deduce whether an individual was well or ill based on their appearance or level of activity. Even the word vitality comes from the Latin “vita” meaning life or to live. As the art and science of healthcare evolved, our precision in determining an individual’s relative health and wellness has improved. In medicine, we routinely are measured non-invasively for height, weight, heart rate, and blood pressure. So too in dentistry, your dental professional uses relatively non-invasive observations to determine the presence of health or the severity of disease. But now your dentist has an improved array of tests to not only gauge the relative severity of a disease process, but also to screen for the presence of disease and the potential that an individual will exhibit symptoms of disease. Where are the areas of your mouth that you avoid during biting and chewing? Where are the areas of your mouth that bleed when you brush your teeth or floss your gums? When do you have any discomfort or lack of mobility in your jaws or jaw muscles? When do you snore? Or have you been told you stop breathing when you sleep? 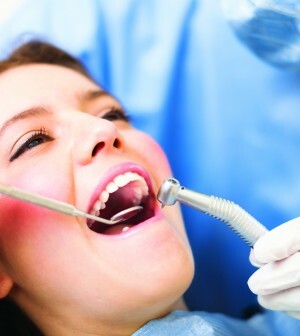 Following the questions, a physical evaluation is performed “looking” for signs of disease or dysfunction: including measurement of blood pressure, heart rate, oxygen saturation, temperature, high speed digital x-rays, digital photographs, and measurement of the gums using a little round ruler called a periodontal probe. Based on the answers to the preliminary questions and an evaluation of the data from the measurements, your dentist will now specifically use more sophisticated tests to diagnose and more effectively treat your dental disease or refer you to your physician for management of your medical disease. When an individual presents with extensive cavities or has recurring bouts of cavities, this usually indicates that the individual has a high level of cavity producing bacteria in their mouth being fed by a diet laced with sugar. A high cavity rate can also hint at potential metabolic issues including type 2 diabetes, insulin resistance, and obesity. Your dentist may request to have ordered: a fasting glucose tolerance test or a Hemoglobin A1c test to discover the root cause of the cavity disease, and then begin to restore the damage from the disease. Your dentist may also do a saliva test to measure the acidity of your mouth (pH) and even a saliva bacteria DNA test to determine which specific bacteria are causing the destruction. Similarly if an individual presents with gum disease, which is minimally indicated by ANY bleeding (or discharge) on measurement of your gums, your dentist can do a simple saliva test to determine what kind of and how much of certain known pathogenic (disease causing) bacteria are present. This information can help the dentist decide what best course of anti-bacterial treatment is indicated. However, as bad as the bacteria are, the major problem with destructive gum disease (known as periodontitis) is the body’s protective immune response going into “destructive overdrive” resulting from chronic inflammation. Scientists cite gum disease as the #1 source of chronic inflammation in the body, with chronic inflammation being the major cause of most chronic systemic diseases including both cardiovascular and pulmonary disease. The classic signs of that inflammation are swelling, redness, elevated temperature, and pain. But gum disease is frequently a relatively painless condition until very late in the process, and gum temperature is difficult to measure. Fortunately a simple blood test for an inflammation marker called “high sensitivity C-reactive protein” is available to monitor the extent of the disease process and also to monitor the success of treatment. Additional blood tests are available to predict the likelihood of periodontal disease based on genetic testing, especially if blood relative family members have had the disease. The use of modern science based testing is changing the way modern dentistry can not only make healthy smiles, but also create healthier lives. Kevin H. Norige, DMD is the founder and chief dentist at South Windsor Smiles, a private dental practice that focuses on oral health as part of the whole body system. For 35 years he has worked with patients to achieve a healthy mouth and live a healthier life. In 2007 Dr. Norige began working as a preceptor at the University of Connecticut School of Dental Medicine, teaching “Critical Thinking in Dentistry”. Dr. Norige is Co-Chair of the Connecticut State Dental Association’s Pregnancy Clinic at the annual Mission Of Mercy, and also maintains membership in the American Dental Association, the Hartford Dental Society, and the American Academy for Oral Systemic Health. (860)640-4464. www.SouthWindsorSmiles.com.